Very good article, please read it! 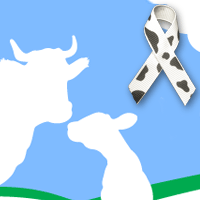 I got a couple of Cow Ribbons, a great idea to show support for Moms of all species. Happy Mothers Day. Please consider the other mothers and Please Go Vegan for them!